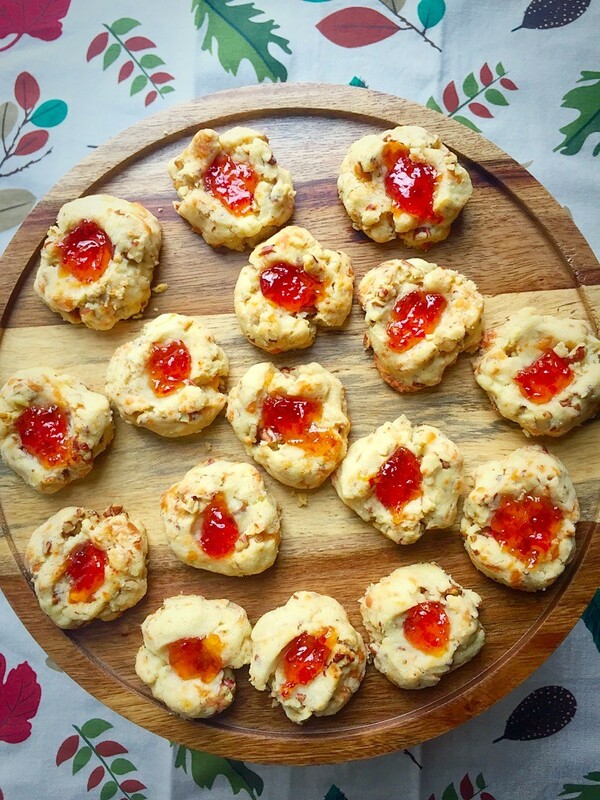 Today I’m off to the Southern Festival of Books for a presentation and signing, and I made these thumbprint cookies to take with me for about the fifth time this month. So I thought I’d share them with y’all! Lately, I have been really into all kinds of shortbread cookies. They are so simple, but they feel special and sophisticated at the same time. One important tip when making shortbread is don’t skimp on the butter! The butter is the main ingredient in shortbread, so try using Kerrygold or a brand that is a little higher quality than the store brand. There aren’t many ingredients in shortbread dough, so you’ve gotta make them count! Instead of the usual sweet shortbread, this savory cookie is unique and absolutely perfect for this time of year. A version of this cookie is also in my cookbook, and I just keep going back to it. I’ve made these for book signings and even for my son’s first birthday. The dough can be made ahead of time and refrigerated, which is great for party planning. 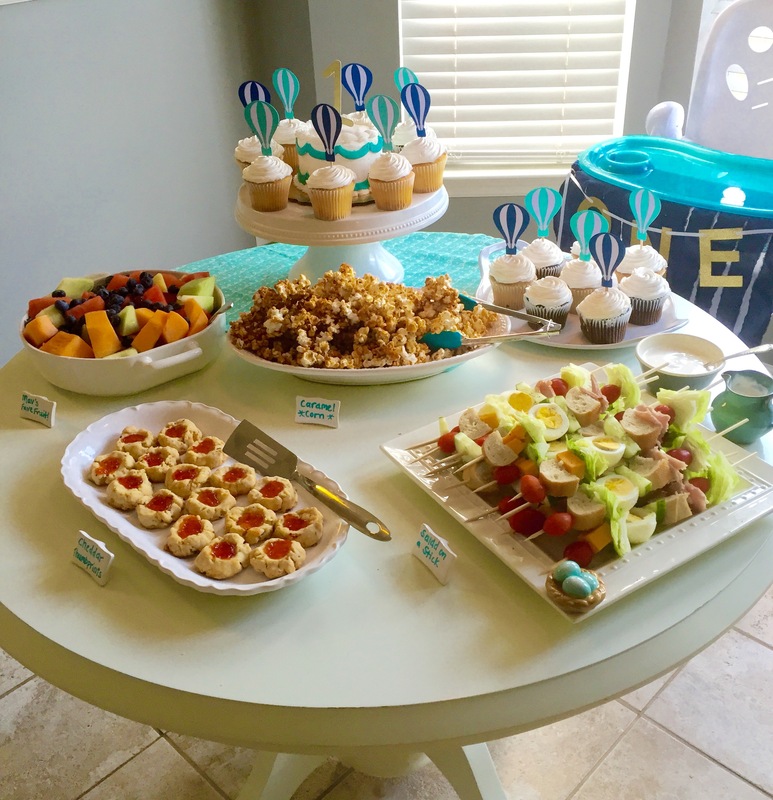 Maverick’s party spread featuring the Cheddar Thumbprint Cookies! Also, to make these extra special try a local pepper jelly, from a company such as The Nashville Jam Co or Marcy Jams, which you can find at local stores, farmer’s markets, or Whole Foods. I hope you enjoy these, and be sure to let me know what you think! In a mixer, beat together butter, flour, and salt until well combined, and then mix in the egg yolk. Add the walnuts and sharp cheddar and mix just until well incorporated. Form the dough into a ball, wrap in plastic, and chill for 30 minutes. Roll the dough into 1-inch balls and place on a cookie sheet lined with parchment paper or silicone. Bake for 18-20 minutes, or until cookies are golden. What to look for in remedies online? Remedies like Deltasone usually is used to solve conditions such as breathing problems. Prednisone is a white to almost white powder. Kamagra is for the treatment of inability to get or keep an erection and similar states connected to erectile malfunction. If you’re concerned about sexual problem, you have to talk to your physician about http://journal-info.net/buy/generic-levitra.html and buy generic levitra. What is the most vital information you have to view about kamagra? (Read more buy vardenafil). Betweentimes folk need medications to resolve sexual heartiness problem. Having erectile dysfunction can certainly complicate dating. Some medicines may interact with this medicine, including over-the-counter herbal products. Not all probable interactions are listed in standard treatment guide. Don’t forget, the best way to avoid forged medications is to get formula drugs like Kamagra from a reliable online service with which you are familiar.